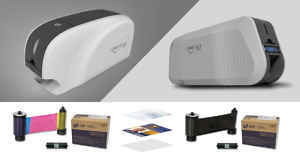 HID Fargo has released a new entry-level card printer called C50, along with the new DTC1250e, DTC4250e, and DTC4500e models that are enhanced versions of the DTC1000, DTC4000 and DTC4500 card printers. 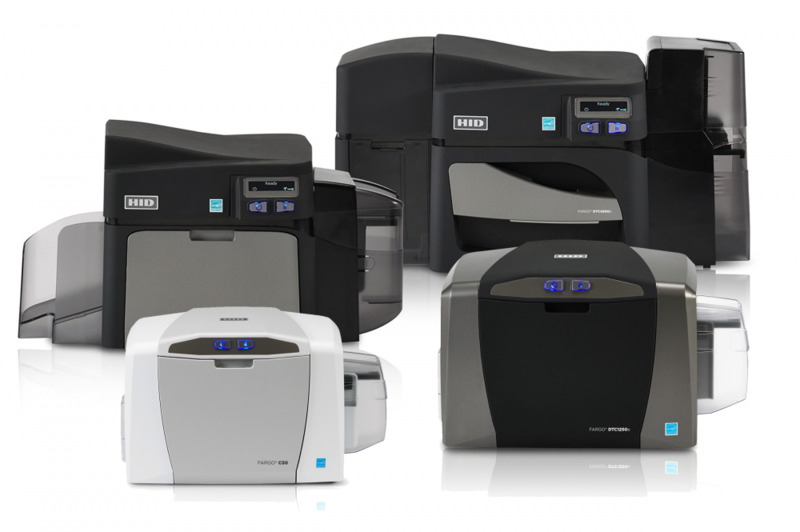 The Fargo C50 ID Card Printer is an affordable single-sided solution to print professional ID cards and badges on demand. It comes with Built-in Swift ID� badging application to help you create ID badges in seconds without having to install any additional software. The Fargo C50 comes with drivers for all operating systems, including Windows� 7, Windows� 8 (32 bit & 64 bit), MAC OS X 10.5/10.6/10.7/10.8 and Linux. 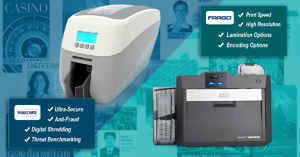 The Fargo C50 ID card printer features a 2-year warranty on printer and printhead. The DTC1250e replaces the DTC1000 card printer. The DTC1250e is the fastest card printer in its category and is available in single and dual-sided versions. The DTC 1250e prints full color cards at a rate of 16 seconds per card (YMCKO), and monochrome badges at a rate of 6 seconds per card (K). 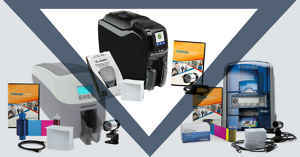 It also features a new 3-year warranty on printer and printhead and is now compatible with all operating systems, including Windows� 7, Windows� 8 (32 bit & 64 bit), MAC OS X 10.5/10.6/10.7/10.8 and Linux. The DTC4250e replaces the DTC4000 card printer. Durable and easy-to-use, the Fargo DTC 4250e ID Card Printer is loaded with state-of-the-art features to simplify your ID card production and ensure maximum card security. The Fargo DTC 4250e comes with standard printer password protection, Ethernet connectivity, fluorescent panel printing, and supports smart card and magnetic stripe technologies. 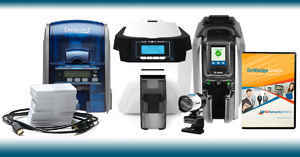 The DTC4500e replaces the DTC4500 card printer. 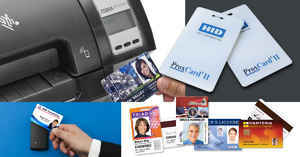 The Fargo DTC4500e ID Card Printer is a durable solution to print secure ID cards and badges in high volume. Standard features include high-capacity ribbon supplies and dual-input card hoppers that allow for maximum card input capacity and management of multiple card types. Optional card lamination is also available to issue highly secure cards that resist forgery and increase card durability. Unique dual-sided simultaneous lamination saves time with increased throughput. For more information about the new Fargo ID card printers, call us at 1-800-897-7024 or visit our Fargo ID card printers page.